I love bags that boast good quality leather, classic design, and convertible handles or straps. The Ora 'Toby' bag ($350, available online or at Nouvelle Nouvelle) ticks all three boxes. It's the quintessential black handbag that every woman needs in her closet, except in this case, the handbag converts from a shoulder bag to a cross-body to a backpack with the help of clever clips and loops. Ora designer Randi Obenauer makes her bags in Vancouver, using only the most supple new and vintage leathers. Her attention to detail and workmanship, combined with her minimalist design aesthetic, make her creations the epitome of discreet luxury. In person, the 'Toby' (a variation on Ora's best-selling 'Sadie' bucket bag) seems deceptively simple. Its soft leather hints at luxury. Its braided tasseled drawstring and silver hardware are its only ornament. Beautiful, understated, versatile--if you're lucky enough to buy one, I predict the 'Toby' will be your go-to black handbag this fall/winter season and beyond. Hey Lisa, do you know where I can see photos of this bag in backpack, shoulder bag, and crossbody form?? I'd love to see how it transforms! 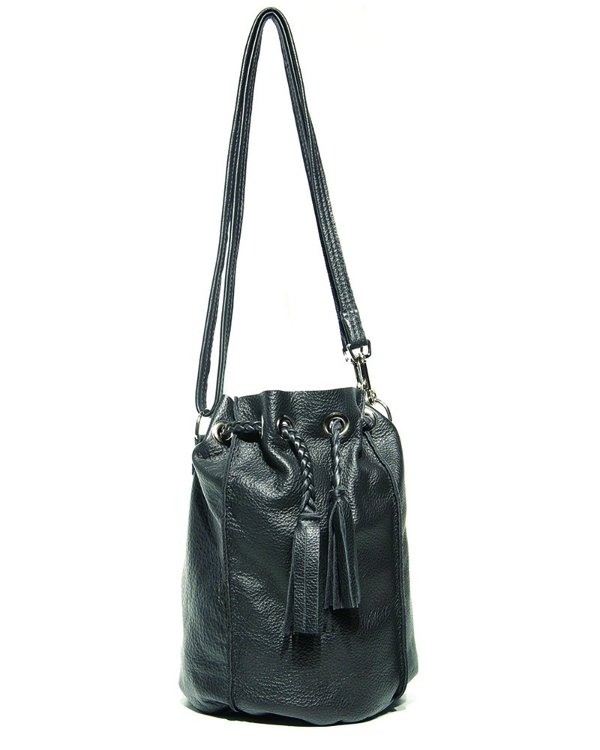 Danielle, the 'Toby' is very similar to the 'Sadie'; you can see photos of the latter on the Ora Bags website. The photos for the 'Sadie' should give you a better idea of how the bag can transform.